Serra’s installation at the Metropolitan Museum of Art in 2011. The United States Destroys Art (1989) is on right. According to The Art Newspaper, Richard Serra is threatening to remove a piece from the Eli and Edythe Broad Collection. The issue boils down to dating. 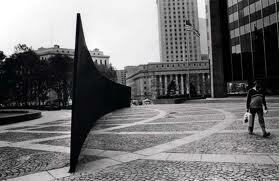 Serra is well known for reworking and recreating works that are damaged and destroyed. Recently, Serra resurfaced The United Stated Government Destroys Art in the collection of Eli and Edythe Broad. The Broad’s, now the Broad Art Foundation, plan to date the work to reflect the changes. 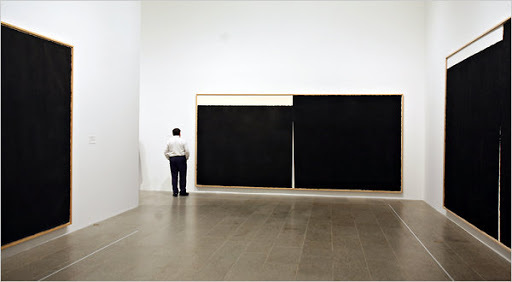 Yet, Serra is arguing that the work should remain dated to 1989 when the work was originally completed. Serra’s sensitivity to VARA is understandable, but he has never exercised his right to disclaim authorship of a work. He previously threatened to disclaim authorship of Titled Arc during government proceedings to remove the work from Federal Plaza in New York City. The installation was removed, following massive controversy, in March 1989. Since VARA became effective in December 1st, 1990, Serra had no moral rights over Titled Arc. The naming of The United States Government Destroys Art drawing, created itself in 1989, reflects his feelings toward the incident and is possibly the motivation behind Serra’s potential VARA claim. The action would certainly be symbolic. 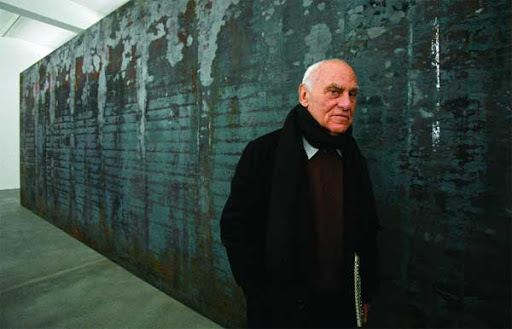 When The Art Newspaper questioned Serra about his plans he only answered, “That’s hypothetical.” The issue has yet to be resolved and legal action is possible down the road. It is a situation to watch carefully since VARA is still being tested in court and has only recently begun to build precedent.